My trip ended and I had to leave the Land of Enchantment after eating along the Green Chile Cheeseburger trail in New Mexico. 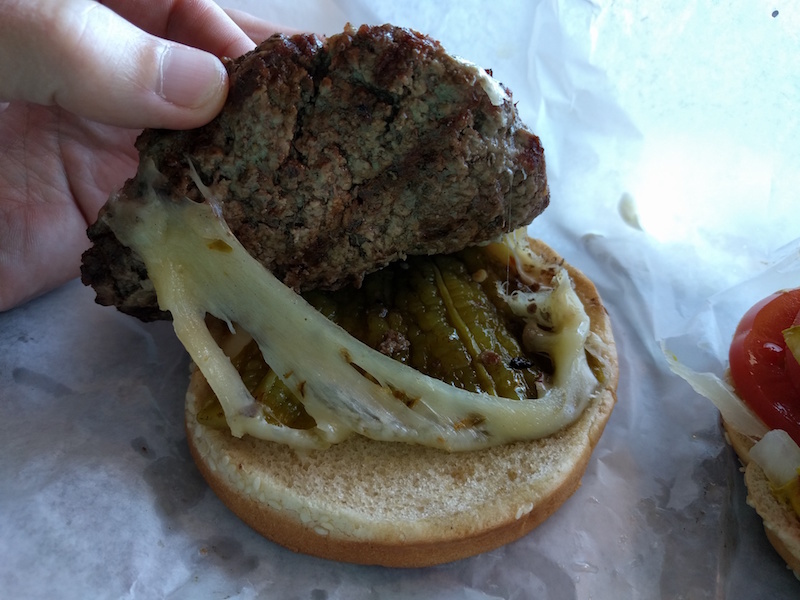 But all was not lost -- there was still time for a final green chile cheeseburger! 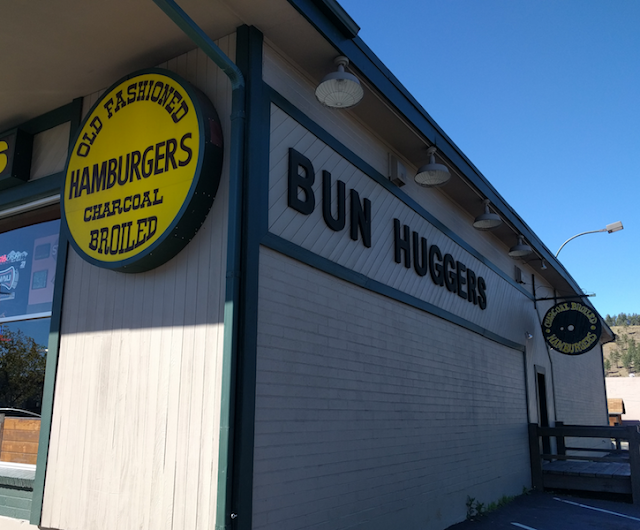 There's a big (and tasty) one at Bun Huggers in Flagstaff, Arizona. Read my review and see more pictures after the jump. The Fiesta Hug is Bun Hugger's version of the green chile cheeseburger. 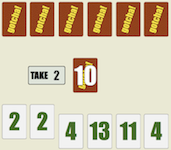 You get a large well-seasoned patty with plenty of cheese and and mild green chiles. 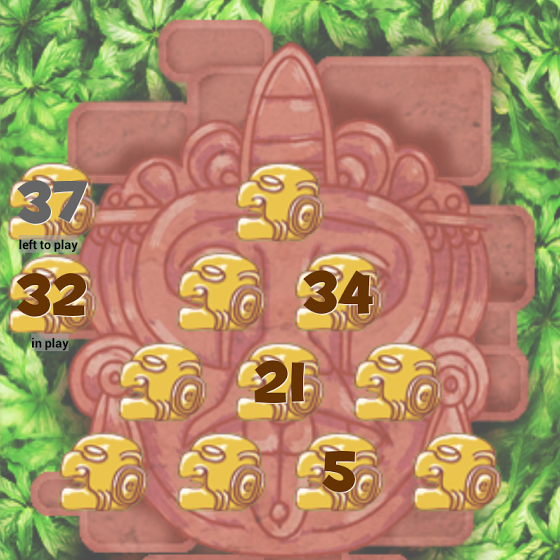 And that's it -- which is perfect. 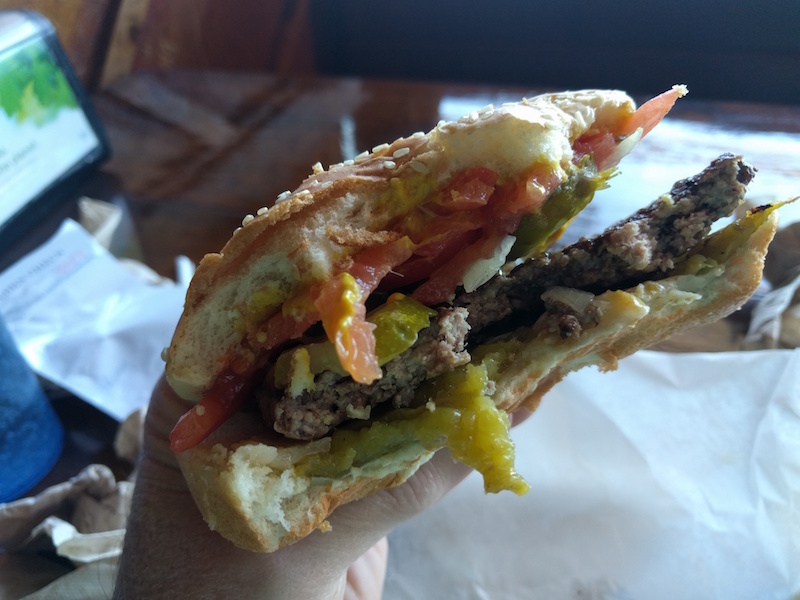 Some people like a green chile cheeseburger without anything extra (see my review of Sparky's in Hatch, New Mexico) and if you'd like to add anything extra you just need to visit the full toppings bar. The burger is well-cooked on the grill (which is exactly how I prefer them). Bun Huggers as a toppings bar where you can add your own condiments, including jalapeño peppers, pickles, tomatoes, mayo, mustard, and ketchup. 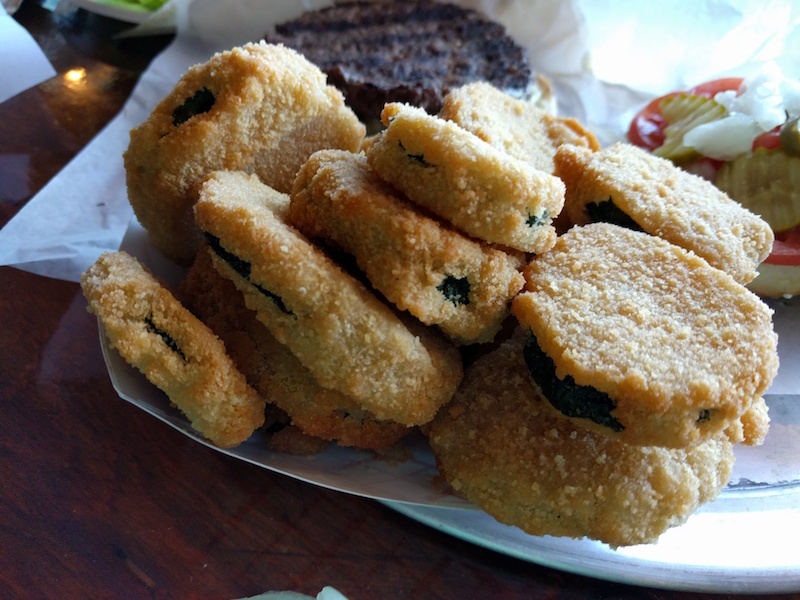 There are plenty of sides to choose from, and I ordered the fried zucchini. These were really good, with plenty of parmesan cheese. There's also a salad bar. I didn't get any pictures of it but I appreciate a good salad bar, especially at lunch. I wish more places had one! There's plenty of booths, and a lounge next door if you're in the mood. 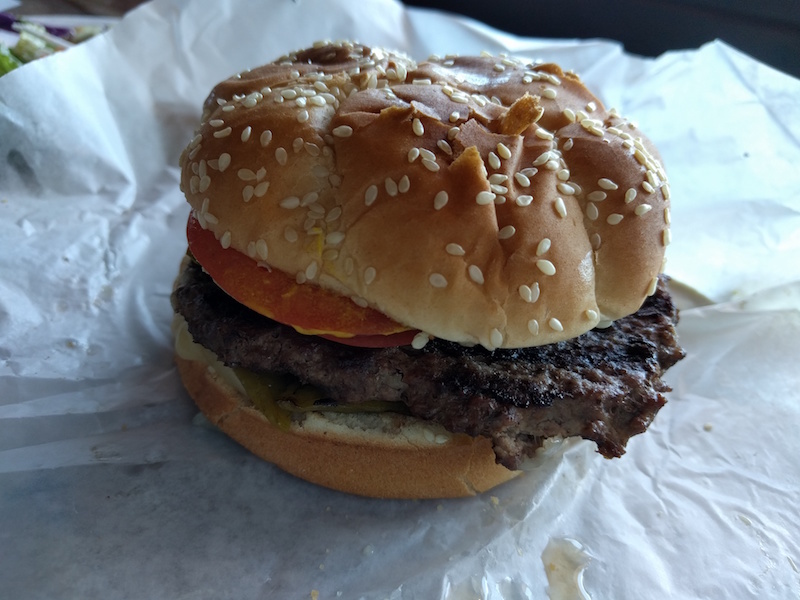 It's easy to get to from the freeway if you're passing through Flagstaff, so be sure and enjoy a green chile cheeseburger at Bun Huggers.